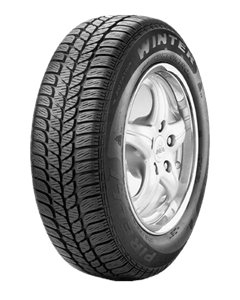 The Winter Snowcontrol is Pirelli’s Performance Winter/Snow tire developed for compact and subcompact cars. Winter Snowcontrol tyres are designed to combine drivability on cold, dry and wet roads with traction in snow and on ice. The Winter Snowcontrol molds a high-silica tread compound into a directional tread pattern to provide traction throughout a wide range of cold temperatures and wintry driving conditions. Sorry, we currently do not have any tyres with the W190 Snow Control pattern in stock.